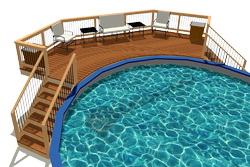 What about the April 2015 building code for decks proposals? 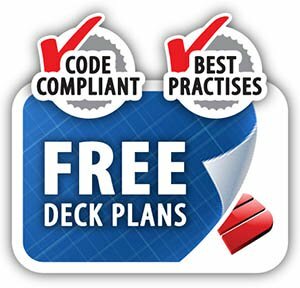 If you subscribe to the Deck INSIDER you will recall I mentioned some of the items that were up for discussion at the the International Residential Code (IRC) code committee hearing in Dallas earlier this year. Conclusions from these hearings can be overturned at the final hearings later this year in October. So find out what made it through for the final hearings. This building code proposal was to reduce the amount of post deflection in a railing from 3" maximum to 1.5" plus reducing downward deflection over an 8' rail span to 1" simultaneously. As was discussed earlier, inspectors who review site built guard rails may demand a test be done at the site - imagine that? It could be quite a an expensive test to conduct. But the inspector has the authority - rightly so - to do just that if the site inspections suggests the guard is not safe enough. 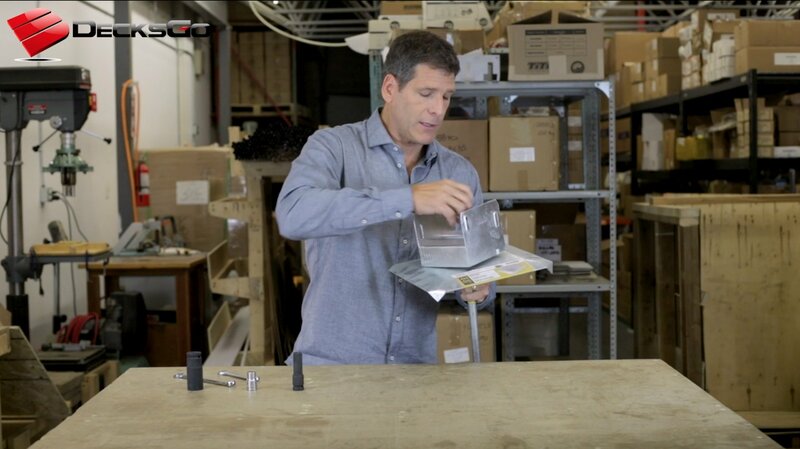 Or many manufacturers of railings or hardward may provide properly conducted testing reports to show compliance. Not approving this proposal leaves the authority in the hands of the inspector where he or she can ask for the railing to be removed or improved as required. 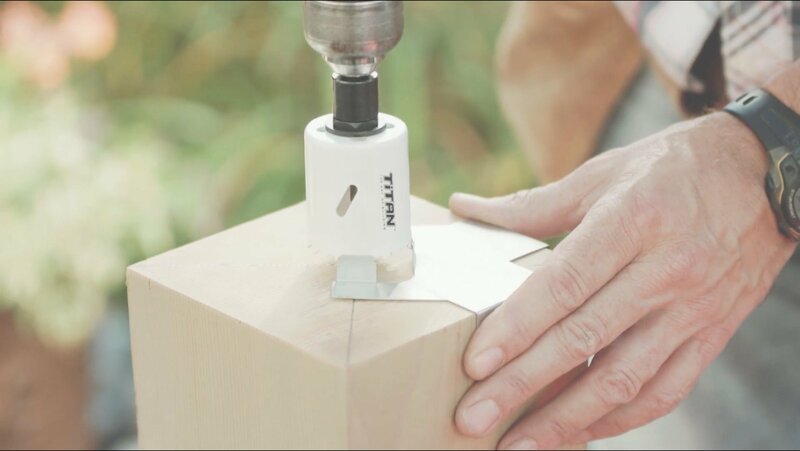 It allows for manufacturers to continue to innovate and bring better products to market so long as they can perform safely. And it allows builders and homeowners to have the design flexibility and choice they want. This was a proposal whose language was vague and letting it get through would have unnecessarily restricted builders and homeowners alike while there is not evidence to suggest that railings are being built so poorly that they are failing. A few manufacturers of railing systems may have wished this to go through and leave them as one of the few solutions. 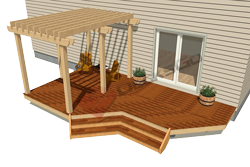 This building code proposal was that when determining the height of a deck, the measurement should be right at the edge of the deck - not 36" horizontally outward from the deck. The rationale was that the current writing in the code is actually safer as when a person falls they most certainly would fall away from the deck, not directly down at its edge. I do think this makes sense. 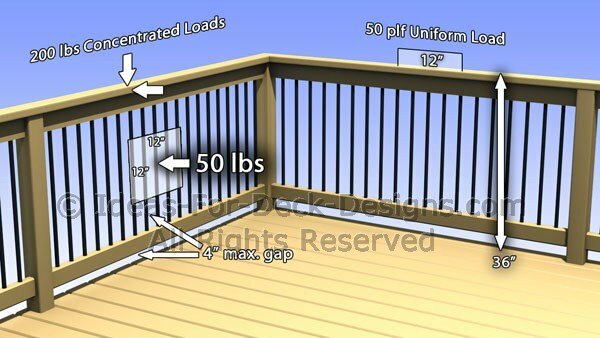 If your deck is right against the edge of a cliff with a 20' drop 36" away from the deck even though the deck is only 20" above the ground right at it edge, wouldn't you put up a guardrail? 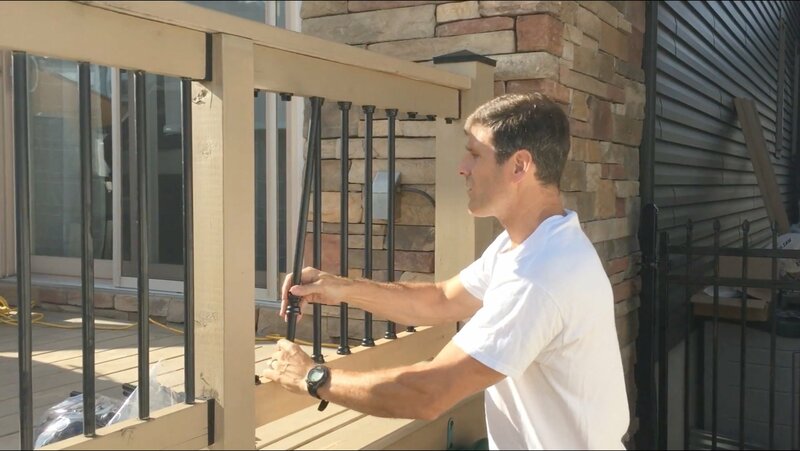 This idea for changes to the code was to return to the time when railing height built into the back of a bench seat was measured as 36" from the deck surface. The latest version of the IRC residential building code demands the measurement be made from the seat elevation. This made building build-in benches are real hassle and without any evidence that there was a safety problem to fix. 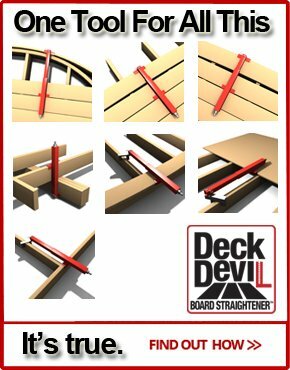 So we are going back to measuring railing height from the surface of the deck. Sounds reasonable to me. 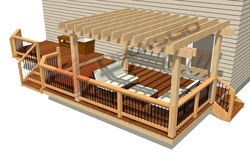 The existing code basically eliminated anyone from building bench seating which unnecessarily restricts the design preferences and beauty and function of a persons deck. If you are going to do that, and maybe it is justified in some circumstances, you ought to have some cogent argument that the need is so great as to justify impeding on someone's private property. 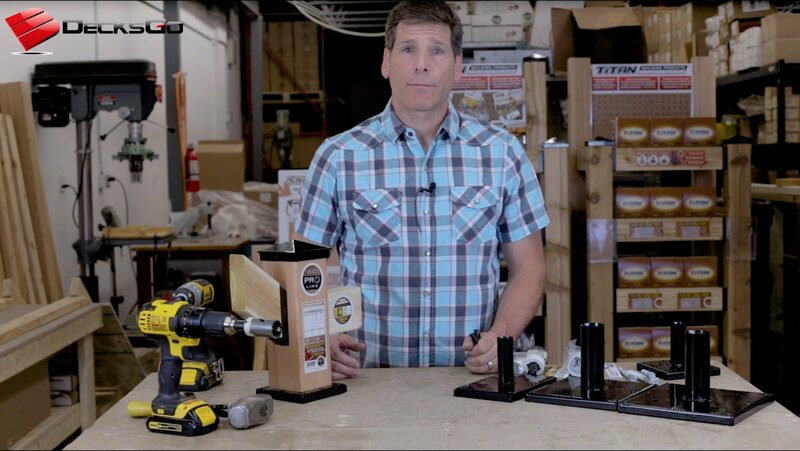 This proposal was to prevent placing 2x6 joist hangers on the bottom 6" of a 2x12 beam. The worry was that the 2x12 would be at risk of splitting. There simply is no evidence of this being a risk. 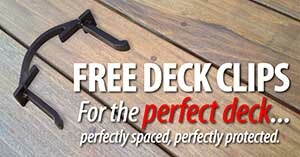 Especially when the loads for a deck are designed for 50 psf maximum. I am surprised this was even considered. 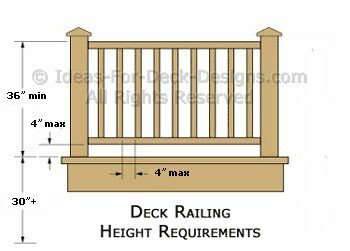 There were at least four proposals to introduce tension devices for securing decks to ledgers if the deck was over 30" high. Three of the four proposals were approved and move on to the final hearings. There was obviously a lot of pressure from some manufacturers to have this written into the code despite no epidemic of deck failures using all the existing approved IRC ledger connection methods. Much research is being done at some universities across the country and so far nothing suggesting this is a problem not appropriately dealt with by existing approved methods. Its not all bad I suppose as it only applies to decks 30" and above that are ledger connected. Free standing or floating decks would be free of this. And additionally, the reading of the proposal does still allow alternative methods. This is a complicated one you have to read for yourself if you are interested. 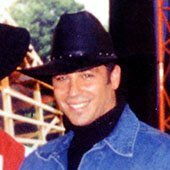 You should take the time to read the very latest on this. IRC Residential Building code discussions of any kind are always interesting because the motivations of the various groups can be opposed. If you are a builder, you should especially keep updated on developments in the building trade. You will be better informed when you speak to your customers and better positioned to provide quotes for service that are professional. 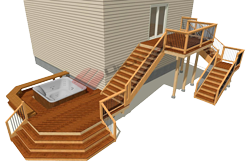 You can find a great article on Building Code Proposals for Decks at NADRA, the North America Deck and Railing Association.